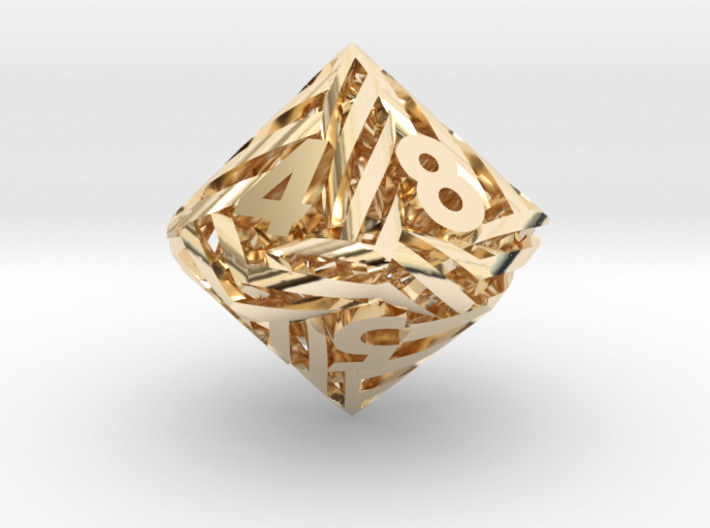 A d10 made of intersecting helices. 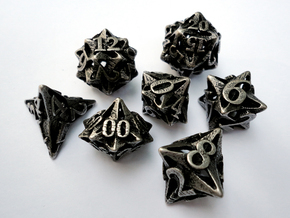 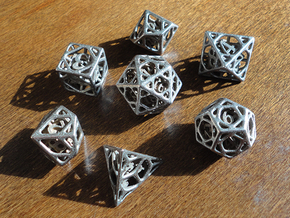 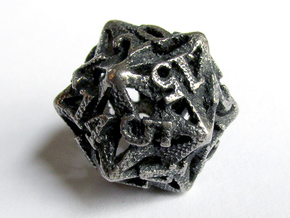 Please Note: The steel version of this die traps quite a bit of the polishing medium used in post-processing. 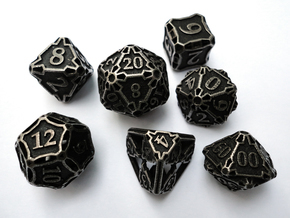 It can be easily removed with a pin or hobby knife.